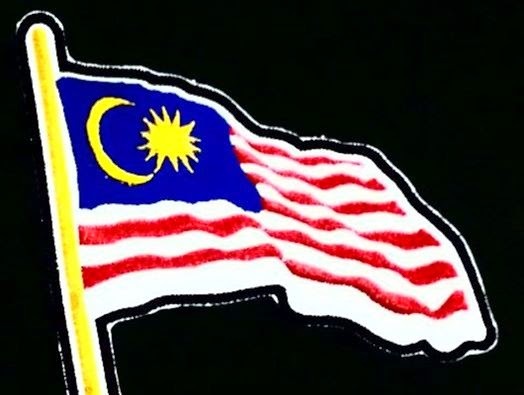 The Patriot: IN THE NAME OF GOD, A RIGHTEOUS KING AND COUNTRY, SALAM MERDEKA! IN THE NAME OF GOD, A RIGHTEOUS KING AND COUNTRY, SALAM MERDEKA! "Disini Lahirnya Sebuah Chinta" Is All Nice And Sweet, But This Country Doesn't Need Romancing Folks! It Commands Our Allegiance To Be Pledged To It With Full Conviction Without Question! Fly The Flag And Be Proud Of It! Salam Merdeka! WOW FACTOR FROM UMNO DIVISIONS?